Many people believe in the benefits of introducing crystals into their daily lives. Crystals are believed to have numerous healing properties that can be used for a number of health issues. The notion of crystal healing spans centuries and has in recent years seen a rebirth as an ‘acceptable’ form of medicine. Celebrities such as Victoria Beckham and Adele have undoubtably played a part in bringing this otherwise unconventional practice in to the mainstream. So, what exactly is crystal healing? Crystals are sometimes used as an alternative treatment which uses stones in a bid to bring balance to a person’s life and mind. They are said to bring harmony and peace to those that practice. A few things crystals are said to help with is positivity, focus and immunity, as well as pain relief. Experts say we have the stone’s steady energy pattern to thank for their proposed healing benefits. The unchanging energy of a crystal works to balance the unstable energy we naturally have within us. If you are looking to experiment with this alternative way of living, then the type of crystal you opt for will depend on the aspect of your life you’re looking to improve. The crystals vary in size, colour and shape. These characteristics all affect their uses. Did you know Rose Quartz is a calming and reassuring crystal, perfect for creating a relaxing and tranquil home environment. 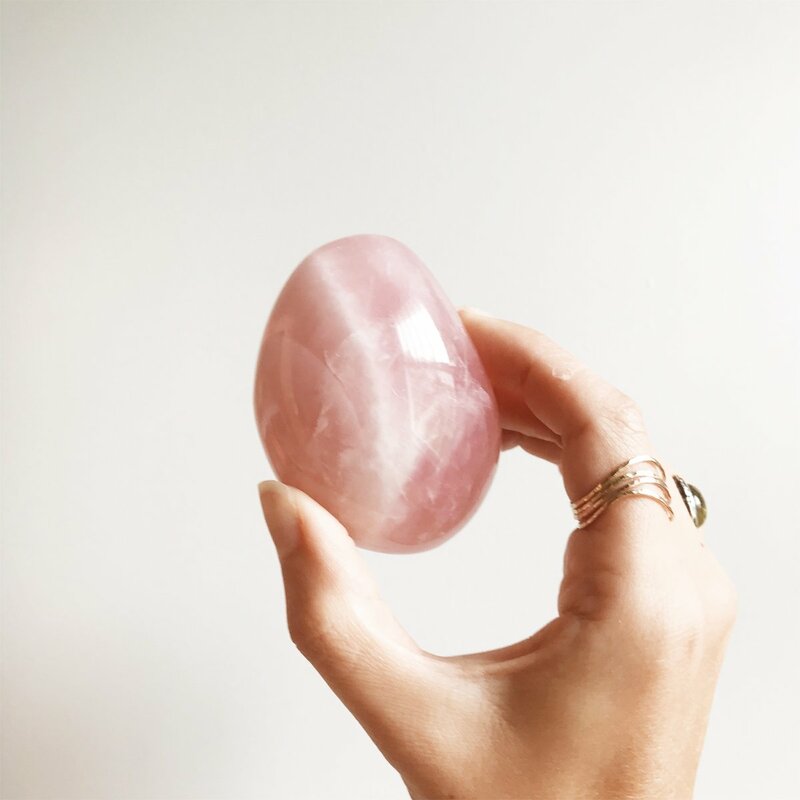 The Rose Quartz stone stands for unconditional love, but it is used for bringing calm and peace into people’s daily lives. The stresses of everyday life can weigh heavily on people’s shoulders. If you can bring a little order and composure to your life, then it’s worth a go, right? It is suggested that by introducing Rose Quartz into your home or even your workplace you’ll be creating a harmonious, relaxing environment. Which in turn will lower stress. Rose Quartz is used for such a wide variety of issues, if you’re interested and keen to find out more you can read about the abundance of health benefits. If the Rose Quartz crystal sounds like something that could work for you or something you want to give a go, take a browse at some beautiful Rose Quartz crystals that come in a variety different shapes and sizes. 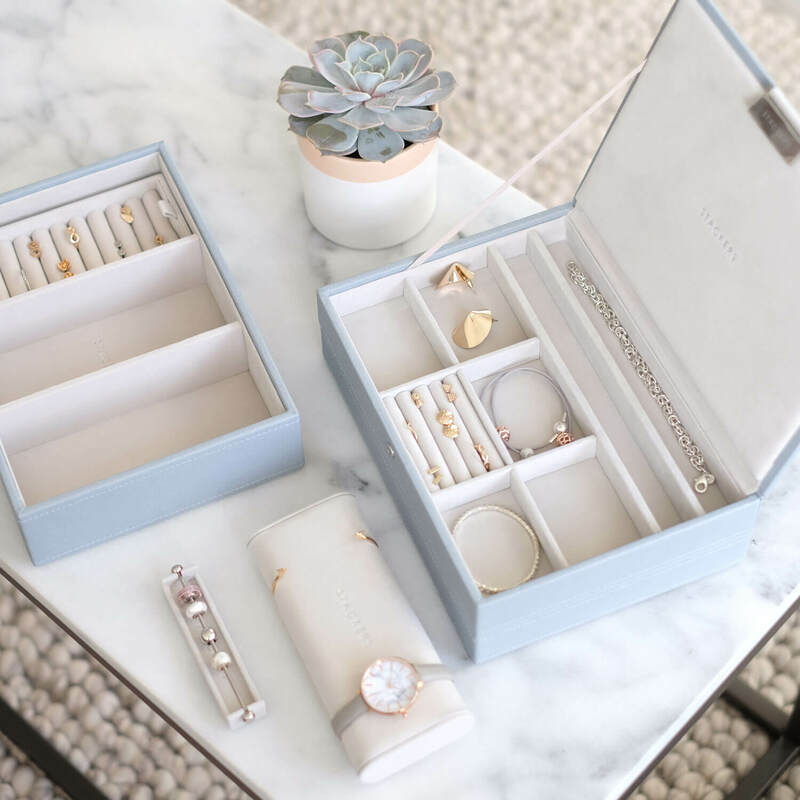 As you may already know, we are on a mission to help you get and stay stylishly organised, and ultimately feel great! 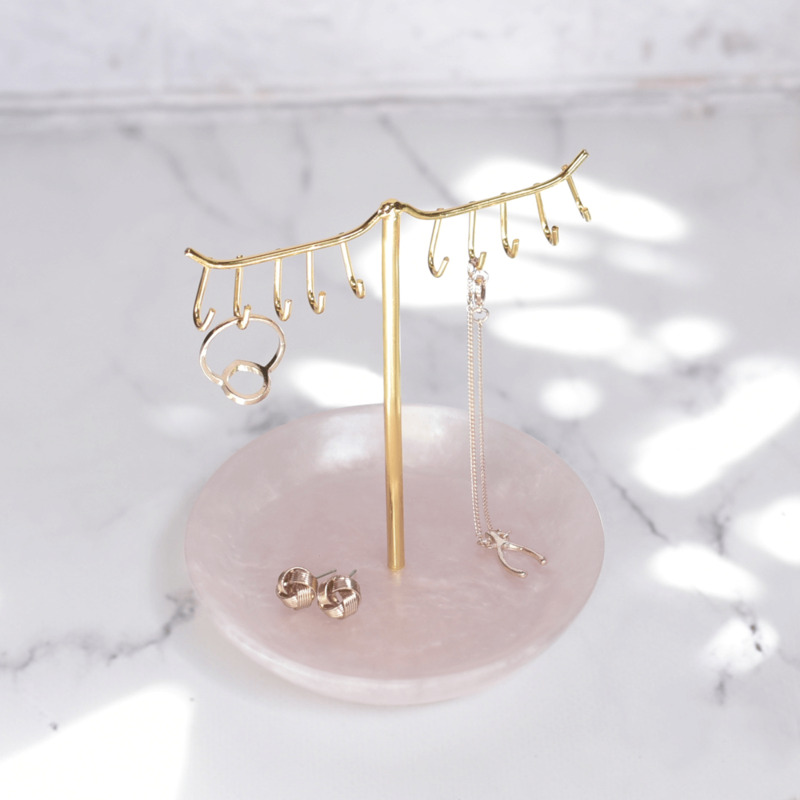 If you’re still sceptical of crystal healing but love the look of Rose Quartz, the lovely Stackers designers have created a beautiful range of Rose Quartz effect jewellery stands that will not only look beautiful in your home but will also help create a calming, stress-free environment by preventing your favourite necklaces getting tangled! 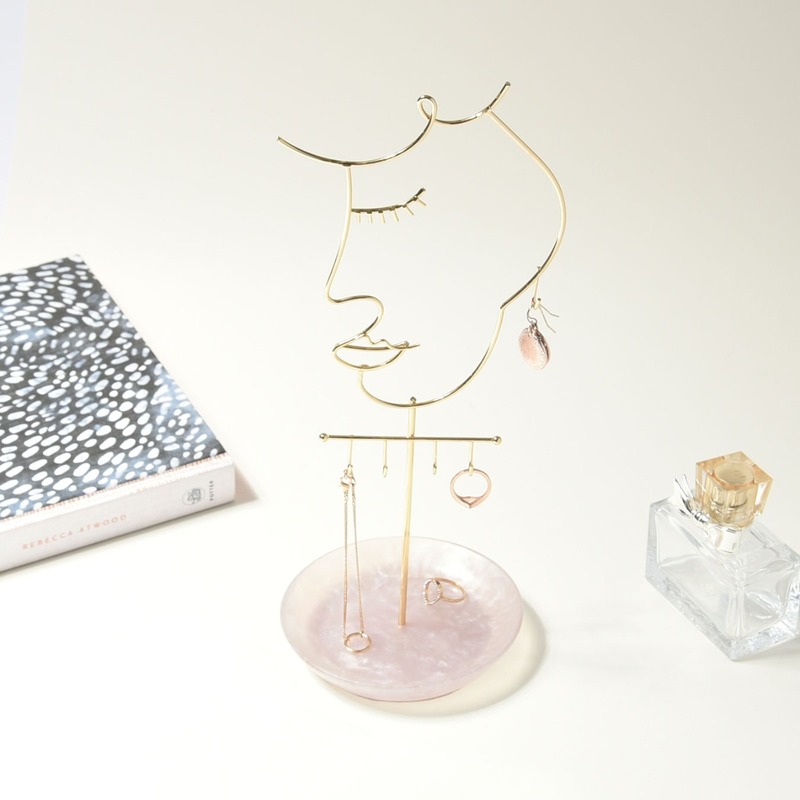 Whether you buy into the healing qualities of crystals or not, it has been proven that even the colour pink has a calming effect. Your living environments can have vast impacts on your state of mind. If you are surrounded by chaos and mess, then this can really affect the way you feel and think. We get it, who actually enjoys tidying? Apart from those few superhuman individuals! Nobody wants to spend their spare time clearing away the weeks clutter. Having said that, once the mound of laundry has been cleared and the coffee table has been restored to it’s primary use, the results of your hard work are undeniably gratifying. So, the answer? Little but often! Keep on top of it so it doesn’t end up being a mountainous task that hangs over you. 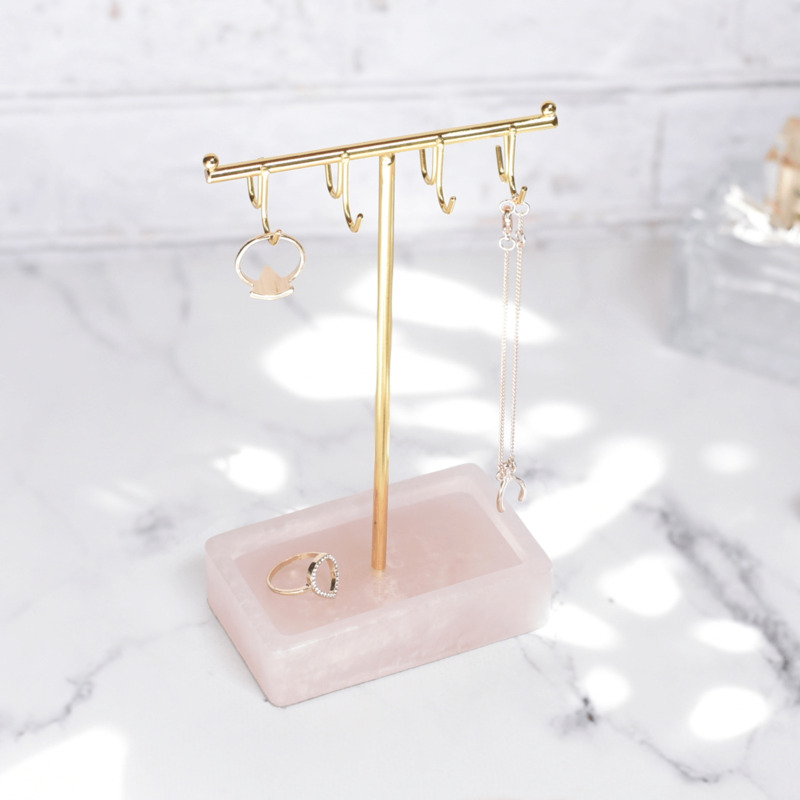 Introduce small changes into your routine that will make a big difference in the long run, such as our Rose Quartz jewellery stands. 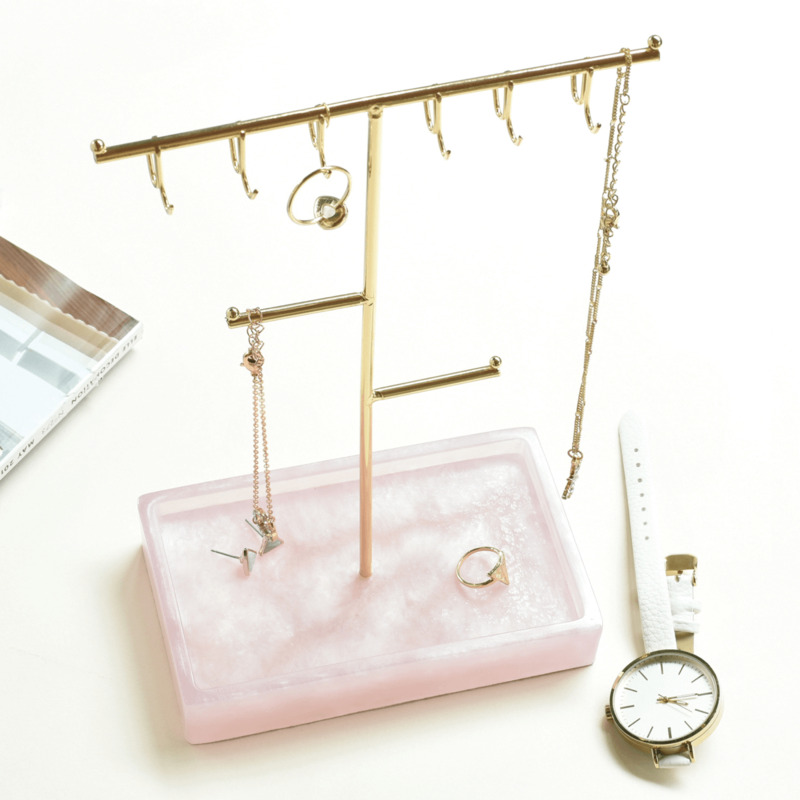 Get into the habit of hanging your jewellery up at the end of each day. 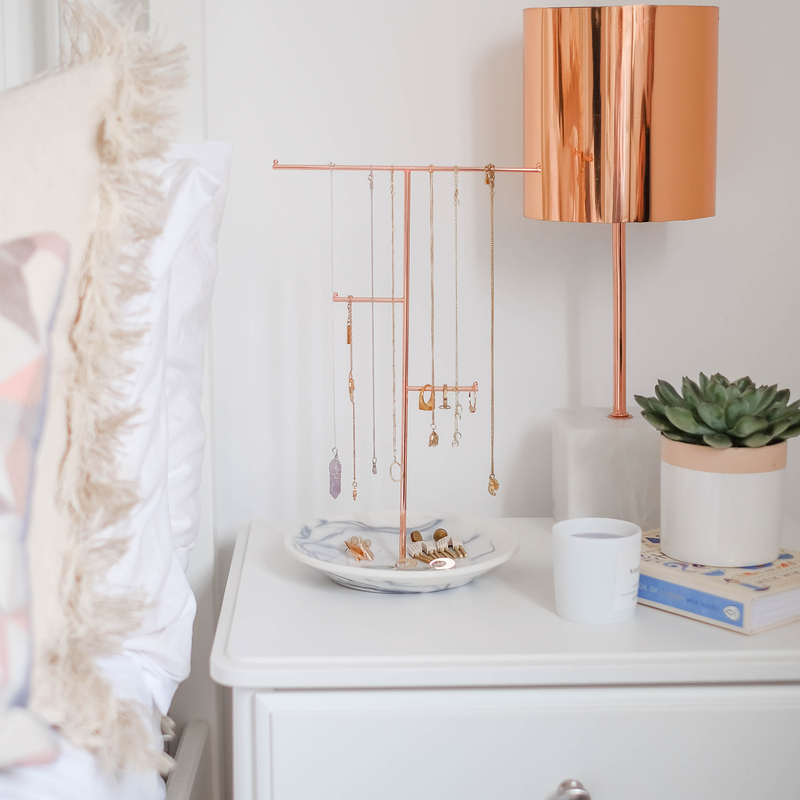 Keeping it in one tidy place will surely reduce the inevitable mess that usually occurs on your bedside table by the end of the week? Clear space = clear mind!